Virtual Office Softphone | 8x8, Inc. The 8x8 Virtual Office Softphone transforms your computer into a feature-rich, web-based phone. Make, take and transfer calls, and more using your 8x8 Virtual Office voice service. Virtual Office Softphone is included at no charge with Virtual Office . 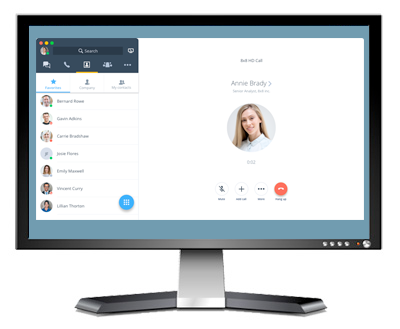 Virtual Office Softphone gives you the freedom to take your 8x8 Virtual Office with you, wherever you may go, increasing your business productivity and efficiency. Use it at the office or connect over Wi-Fi. The airport, coffee shop, or a hotel room can be your office. All the advanced features of your 8x8 desk phone are available at any time to conduct business.